Working in silk and velvet, Jenny's fashion textiles are made up into scarves, ties and jackets, as well as embroidered jewellery and greetings cards. She uses indigo and mineral salts to achieve bold blues and golds, and subtle earth colours. The distinctive patterns are produced by resist dyeing and painting. Her working methods have evolved from a concern with the environment and a no-waste philosophy. 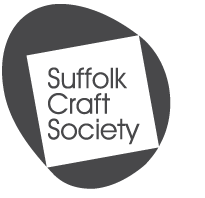 Her influences include Japanese design and textiles and the Suffolk landscape. Jenny studied at London Guildhall University and her work is exhibited widely in the UK.